Racing this weekend... let's see... racing this weekend.... Is there any racing this weekend? Oh right! It's only the BIGGEST racing weekend of the entire year! 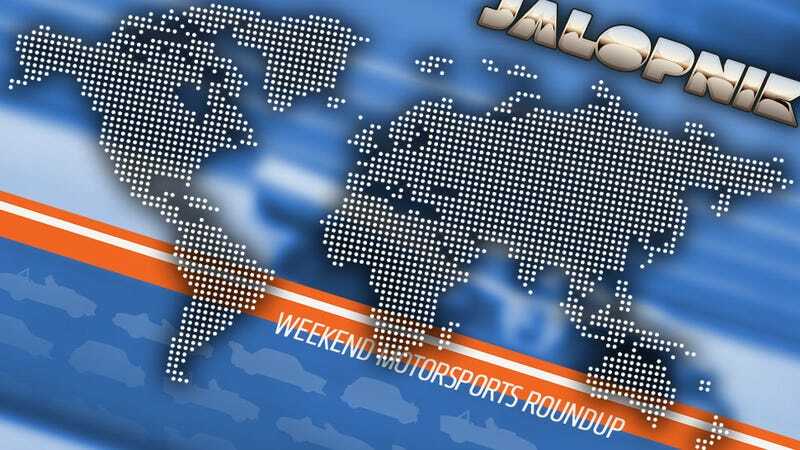 From Indiana to the shores of the Mediterranean, there's great racing all over the place. Let's start off with the two big heavy hitters in open-wheel motorsports this weekend. In Indianapolis, Indiana, there's the storied Indy 500. I'll be rooting for Gil de Ferran, even though he's long retired, as he was such a nice man to come down and answer questions for the fans yesterday. A world away in ritzy glitzy Monte Carlo, there's the equally storied Monaco Grand Prix. I'll be rooting for everyone, but for Kimi Raikonnen's mouth especially. Hopefully it'll say something hilarious. In case you need any help catching up on track info or the history of the race itself, remember to check out Peter Leung's incredible Monaco Grand Prix infographic. If you don't like open wheel racing, there's a replay of the WEC race in Belgium from earlier this month, and of course the NASCAR Coca-Cola 600 in North Carolina. And if you have a burning hatred of all things with wheels that also go on roads, you are weird. But there's racing for you, with a replay of the Stadium Super Truck series in San Diego and a live motocross race in Colorado. At this rate, I might as well keep the TV on all weekend. Please use our new-ish (and still fancy-ish) image annotation tool on the map above to show us races we might have missed, where they're being held, and where we can livestream them. Get it while it's good.